Holiday.gr - ANDROS, a trip to a myth! Andros is an island with special identity. With her untold natural beauties and important monuments that reveal her brilliant history, has gained international fame and is a dear summer resort. 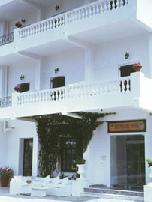 It is the northest of Cyclades islands and the second in size after Naxos. It has an extend of 373sq.km. 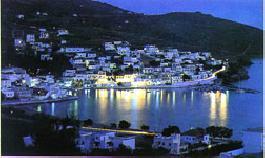 Andros, in contrary to the other Cyclades islands, is a fertile and green island. The endless olive groves and fields with fruit trees create magnificent pictures you won’t see in any other island of Cyclades. Andros is famous for her running waters. You can see “Sariza” source with the bottled water. 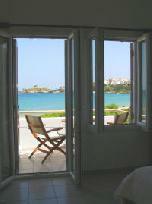 Andros is wet by Aegean sea which has given her dreamy beaches. The length of its shores is 177km. Her endless beaches, with blond shores and clear waters offer visitors moments of peace and calm. Touring around the island fills every visitor with unique pictures and feelings. It’s not just the beautiful scenes and their alterations, either the beautiful villages with the traditional architecture and baronial feature. But also the sights,(archaeological places, historic buildings, churches and monasteries) that give the island a different style. Visit her and meet the island that gave birth to many ship-owners, captains and sailors. 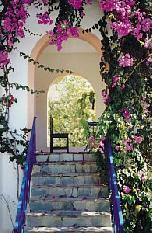 Walk in the graphic paths of Chora and admire the neoclassic mansions. Have fun in the island’s rhythms and let your sight be filled with the magic beauty of Andros.